Posted on October 31, 2006 by Ching under Food and Drink, Web. 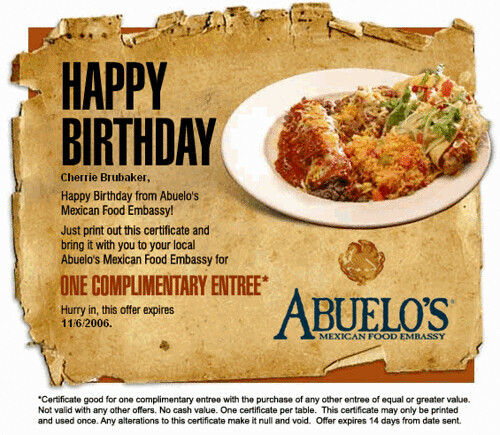 I just found this in my email inbox. Belated happy birthday to me! It looks like I have an appointment with Cold Stone after work on Friday! Hurrah! P.S. 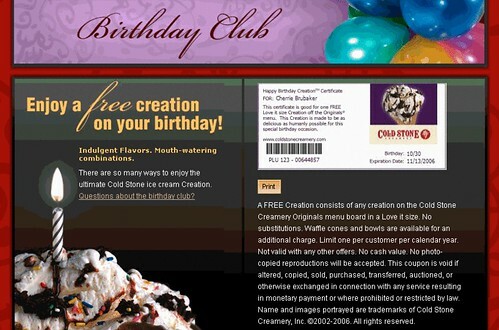 To get free ice cream on your birthday, simply join the Cold Stone Creamery birthday club online. Posted on October 31, 2006 by Ching under Web. 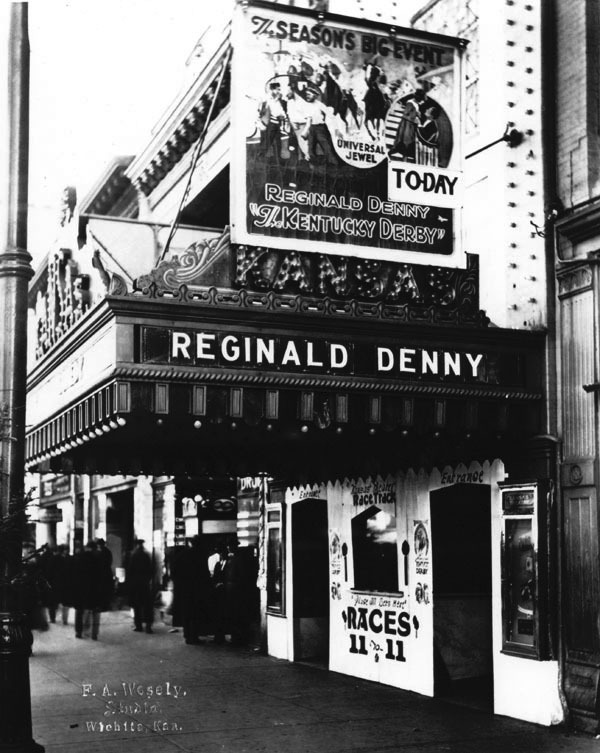 This photo is borrowed from the Wichita Photo Archives, the best collection of Wichita photographs ranging from the 1860s to the present. Posted on October 31, 2006 by Ching under Flickr. Okay, I just have to share this because it’s the biggest thing to ever happen to me in a while. This is the coolest birthday gift ever and I don’t even think he knew it was my birthday. Tommy Kane just added me as a contact on Flickr! Of course, I don’t just reciprocate anymore because my list has gotten completely out of hand. So I checked out his profile, which led me to his web site, which led me to realize this is THE Tommy Kane! Holy cannoli! I hit a gold mine! As you would have guessed I reciprocated by friending him. Posted on October 28, 2006 by Ching under Flickr. Check it out! 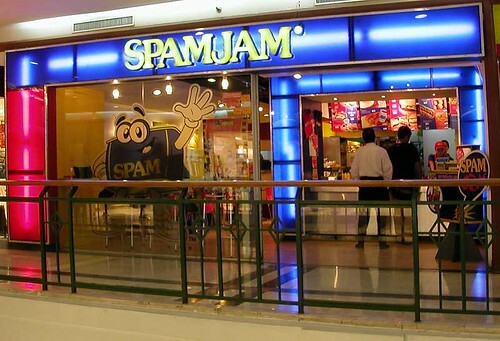 A Spam restaurant. Now, I can honestly say I have seen everything. Thank you to Flickr, an online community that makes it possible for us to browse photos from all over the world, and also to Tin who shared the link on her blog. P.S. I love Spam. Brian has never understood why I like it so much. I’m beginning to realize it might be a Filipino thing. What do you think? Have you ever met anyone else who likes Spam? Were they Filipino? GIVE ME THE RUN AROUND! Posted on October 24, 2006 by Brian under Reviews. Yesterday I wrote to a company that manufactured my drive enclosure for my portable Hard Drive. I have been using this thing for like almost a year. I wrote to them and clearly explained my issues, my actions and what I needed (see below). Question: I have purchased one of your enclosures that has recently failed. I tested the HD in another computer and it worked just fine. I found another HD and tested it in the Enclosure and it would not work either. I want to know how I go about getting an exchange for this product or if I can even get an exchange for this product. I was told by NewEgg that it had a 1 year Manufacture Warranty on it and they only covered it for the first 30 days. Please advise.